zárványgazdag plagioklászok, az amfibolköpennyel rendelkező piroxének és a plagioklászokban megjelenő tűs apatit kristályok. A jelen tanulmányban bemutatott részletes petrográfiai vizsgálatok rávilágítanak a Ditrói alkáli masszívum magmatározóinak összetett és változatos fejlődéstörténetére, amelyben meghatározó szerepet játszottak a nyílt rendszerű magmás folyamatok. Anastasiu, N. & Constantinescu, E. 1979: Structura şi petrogeneza masivului alcalin de la Ditrău. Raport geologic final. — Manuscript, Archiva IPEG Harghita, Miercurea–Ciuc. Anastasiu, N. & Constantinescu, E. 1980: Structure du massif alcalin de Ditrău. — Analele Universitatii Bucuresti Seria Geologie 29, 3–22. Balintoni, I. 1997: Geotectonica terenurilor metamorfice din Romania. Geotectonique from the metamorphic terraines of Romania. — Editura Carpatica, Cluj–Napoca, 176p. Balintoni, I., Gheuca, I. & Vodǎ, Al. 1983: Pânze de încălecare Alpine şi Hercinice din zona sudică şi centrală a Zonei Cristalino Mezozoice din Carpaţii Orientali. Alpine and Hercynian overthrust nappes from central and southern areas of the East Carpathians Crystalline Mesozoic Zone. — Anuarul Instutului de Geologie şi Geofizică al României 60, 15–22. Batki, A., Pál–Molnár, E. & Bárdossy, A. 2004: Occurrence and petrology of lamprophyres from the northern part of the Ditrău Alkaline Massif, Eastern Carpathians, Romania. — Acta Mineralogica Petrographica 45/2, 21–28. Codarcea, A. Codarcea, D.M. & Ianovici, V. 1957: Structura geologicǎ a masivului de roci alkaline de la Ditrǎu. — Buletin Ştiinţific, Secţia de Geologie şi Geografie, II/3–4, 385–446. Dallmeyer, R.D., Kräutner, H. & Neubauer, F. 1997: Middle–late triassic 40Ar/39Ar hornblende ages for early intrusions within the Ditrau Alkaline Massif, Rumania: implications for alpine rifting in the carpathian orogen. — Geologica Carpathica, 48/6, 347–352. Dingwell, D.B. 2009: Magma mixing, mingling and unmixing. In: Schubert, G. (ed. ): Treatise on Geophysics, vol. 2, Mineral Physics, Elsevier, 420. Gordon, A. 2002: Analysis and interpretation of macrorhythmic units of gabbro–diorite interlayering at Arey Nack, Vinalhaven Island, Maine. — 15th Keck Symposium 15, 1–4. Hassanen, M.A. 1999: Mantle–crustal Source of Mafic–felsic Magmas in the Dubr–Igla Intrusive Complex, Egypt: Inference from Geochemistry and Sr–Nd Isotopic Study. — Journal of King Abdulaziz University 11, 103–141. Hibbard, M.J. 1991: Textural anatomy of twelve magma–mixed granitoid systems. In: Didier, J., Barbarin, B. (Eds. ), Enclaves and Granite Petrology. — Elsevier, 431–444. Ianovici, V. 1933: Étude sur le massif syénitique de Ditrău, région Jolotca, district Ciuc (Transylvanie). — Revista Muzeului Geologic–Mineralogic al Universităţii din Cluj 4/2, 1–53. Jakab, Gy. 1998: Geologia Masivului alcalin de la Ditrău. — Pallas–Akademia, Miercurea–Ciuc, 298 p.
Jakab, Gy., Garbaşevschi, N., Balla, Z., Zakariás, L., Péter, J., Strungaru, T., Hereda, N., Sileanu, T., Aronescu, M., Postolache, C., Mocanu, V., Teulea, G., Hannich, D. & Tiepac, I. 1987: Sinteza datelor obţinute prin prospecţiuni geologice complexe, lucrări miniere şi foraje, executate pentru minereuri de metale rare şi disperse, feroase şi neferoase în masivul de roci alkaline de la Ditrău, judeţul Hargita. — Manuscript, Archiva IPEG Harghita, Miercurea–Ciuc. Koch, A. 1879: A ditrói syenittömzs kőzettani és hegyszerkezeti viszonyairól. — Magyar Tudományos Akadémiai Értekezések 9/2. Kovács, G. & Pál–Molnár, E. 2005: A Ditrói Alkáli Masszívum granitoid kőzeteinek petrogenezise. — Földtani Közlöny 135/1, 121–143. Le maitre, R.W., Streckeisen, A., Zanettin, B., Le Bas, M.J., Bonin, B., Bateman, P., Bellieni, G., Dudek, A., Efremova, S., Keller, J., Lameyre, J., Sabine, P.A., Schmid, R., SØrenden, H. & Woolley, A.R., 2002: Igneous Rocks: A Classification and Glossary of Terms, 2nd edition. — Cambridge University Press, 236p. Lilienbach, L. 1833: Journal d’un voyage géologique fait en travers toute la chaíne des Carpathes, en Bucovine, en Transylvanie et dans le Marmarosch. — Mémoires de la Société géologique de France 1, 237–316. McCulloch, L. 2007: Evidence for upward growth of a layered pluton in the Bindal Batholith, north–central Norway. — Texas Tech University, 1–83. Pană, D., Balintoni, I. & Heaman L. 2000: Precise U–Pb zircon dating of the syenite phase from Ditrău Alkaline Igneous Complex. — Studia Universitatis Babeş–Bolyai, Geologia 45/1, 79–89. Pál–Molnár, E. 1988: Studiul mineralogic şi petrologic al complexului Jolotca din masivul alcalin de la Ditrău, cu privire specială asupra mineralelor purtătoare de fier — PhD disszertáció, 127p. Pál–Molnár, E. 1992: Petrographical characteristics of Ditró (Orotva) hornblendites, Eastern Charpatians, Transylvania (Romania): a preliminary description. — Acta Mineralogica– Pertrographica 33, 67–80. Pál–Molnár, E. 1994a: A Ditrói Szienitmasszívum kialakulása a földtani megismerés tükrében. — A Magyar Tudományos Akadémia Szegedi Akadémiai Bizottságának Kiadványai, Szeged, 85p. Pál–Molnár, E. 1994b: Adalékok a Ditrói szienitmasszívum szerkezeti és kőzettani ismeretéhez. — Szegedi Akadémiai Bizottság, Föld– és Környezettudományi Szakbizottság, 52p. 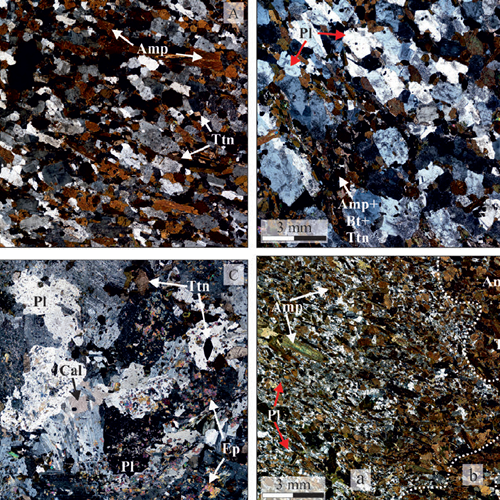 Pál–Molnár, E. 1994c: Petrographical characteristics of Ditrău (Orotva) diorites, Eastern Carpathians, Transylvania (Romania). — Acta Mineralogica– Pertrographica 35, 95–109. Pál–Molnár, E. 1998: A Ditrói szienitmasszívum földtani felépítése és petrológiája, különös tekintettel a hornblenditek és dioritok kialakulására, I–II. — Ph.D. értekezés, JATE, Szeged, 219. Pál–Molnár, E. 2000: Hornblendites and diorites of the Ditrău Syenite Massif. — Ed. Department of Mineralogy, Geochemistry and Petrology, University of Szeged, Szeged, 172p. Pál–Molnár, E. 2008: Mezozóos alkáli magmatizmus a Kárpát régióban: a Ditrói Alkáli Masszívum petrogenezise. — OTKA Zárójelentés 46736, 80p. Pál–Molnár, E. 2010a. Geology of Székelyland. — In: Szakáll, S., Kristály, F. (eds. ): Mineralogy of Székelyland, Eastern Transylvania, Romania, Csík County Nature and Conservation Society, Miercurea Ciuc, pp 33–43. Pál–Molnár, E. 2010b. Rock–forming minerals of the Ditrău Alkaline Massif. — In: Szakáll, S., Kristály, F. (eds. ): Mineralogy of Székelyland, Eastern Transylvania, Romania, Csík County Nature and Conservation Society, Miercurea Ciuc, pp 63–88. Pál–Molnár, E. & Árva–Sós, E. 1995: K/Ar radiometric dating on rocks from the northern part of the Ditrău Syenite Massif and its petrogenetic implications. — Acta Mineralogica– Pertrographica 36, 101–116. Săndulescu, M. 1984: Geotectonica României. — Editura Technică, Bucureşti, 336p. Smith D.J. 2014: Clinopyroxene precursors to amphibole sponge in arc crust. — Nature Communications 5/4329. https://doi.org/10.1038/ncomms5329. Streckeisen, A. 1938: Das Nephelinsyenit–Massiv von Ditro in Rumänien als Beispiel einer kombinierten Differentiation und Assimilation. — Verhandlungen der Naturforschenden Gesellschaft in Basel, 159–161. Streckeisen, A. 1952: Das Nephelinsyenit–Massiv von Ditro (Siebenburgen), I. Teil. Schweizerische Mineralogische und Petrographische Mitteilungen 32, 251–308. Streckeisen, A. 1954: Das Nephelinsyenit–Massiv von Ditro (Siebenbürgen), II. Teil. —Schweizeriche Mineralogische und Petrographische Mitteilungen, 34, 336–409. Streckeisen, A. 1960: On the structure and origin of the Nephelinsyenite Complex of Ditro (Transylvania, Roumania). — 21st International Geological Congress, Rep.21st Session Norden, 13, 228–238. Streckeisen, A. & Hunziker, i.c. 1974: On the origin of the Nephelinesyenite Massif of Ditó (Transylvania, Romania). — Schweizerische Mineralogische Petrographische Mitteilungen, 54, 59–77. Valesco–Tapia, F., Rodríguez–Saavedra, P., Márquez, A., Navarro de León, I., De Ignacio, C., Marroquín Guerra, G., Quintanilla–Garza, J. & Rangel–alvarez, O.M. 2013: Mineralogical and geological evidence of magma mingling/mixing in the Sierra de las Cruces Volcanic range, Mexican Volcanic Belt. — Journal of Iberian Geology 39, 147–166. Zólya, L. & Zólya, É.G. 1985: A geological study based on geological mapping carried out in 1:5000 scale from the area of the Putna Întunecoasă spring (in Romanian). — Manuscript, Archiva IPEG Harghita, Miercurea–Ciuc. Zólya, L.& Zólya, É.G. 1986: A geological study based on geological mapping carried out in 1:5000 scale from the area of the Tilalmas—Halaság spring (in Romanian). — Manuscript, Archiva IPEG Harghita, Miercurea–Ciuc.